for Your Chance to Win One of Eight Prizes! 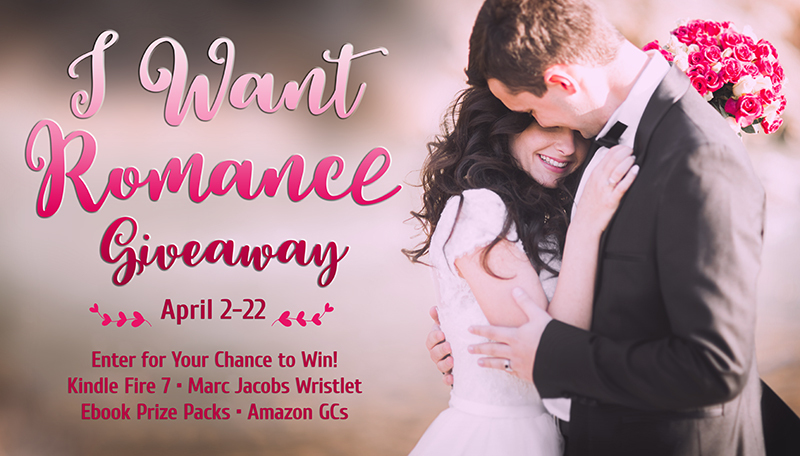 Enter the I Want Romance giveaway today and you could win 8 great prizes including a Kindle Fire, romance ebooks, or a Marc Jacobs leather wristlet to carry your phone and money in style! Who couldn’t use a little more romance in their lives? Not to mention a pretty in pink Marc Jacobs leather wrist wallet that fits your smartphone? Or a Kindle Fire 7? Or maybe you’ve been lusting after the newest romance bestseller on Amazon. Well, you’ve got from now until April 22nd to enter to win, and hopefully add some more ‘romance’ to your life! Want One More Chance to Win? Plus, find a bonus giveaway when you check out our book fair, where you can choose from books in genres from contemporary romance to romantic suspense to PNR for 2.99 or less. « Random Musings: Am I Too Old to Wear This?